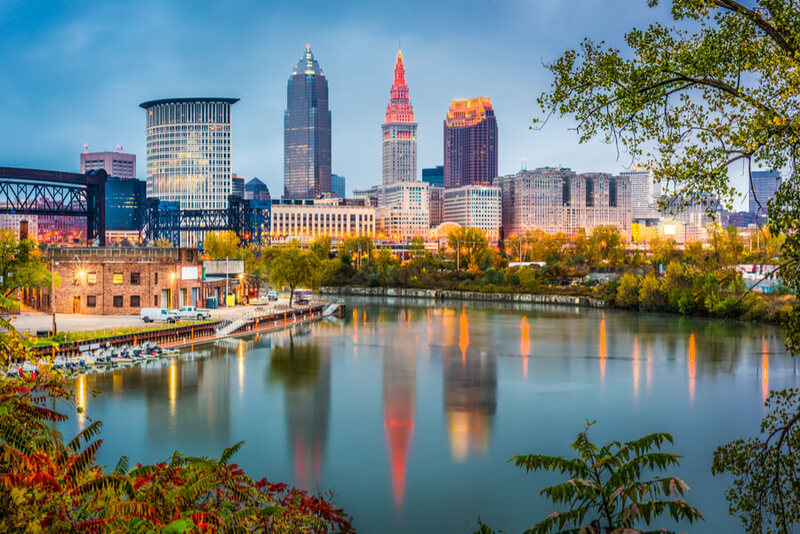 Located in the city of Cleveland, a major area in Ohio, the Edna House is a sober living home for women suffering from drug and alcohol addiction issues founded in 2004. Throughout its 14 year—and counting—run, the center has provided a safe and sober environment for more than 1,200 women to achieve sobriety and learn valuable life skills. The facility began in a small family home and housed just three people on the first day. Between 2004 and 2006 the number of persons seeking recovery at the home increased to 22 women. The idea for the sober living home came from four sober women (Debi, Jane, Erin, and Nancy) with the help of Sister Mary Ignatia, the originator of residential treatment for alcoholics and Jack Mulhall. Jack, at the time, had decades of experience managing substance abuse residential programs. The center operates on the 12-steps of Alcoholic Anonymous (AA) and clients are encouraged to pass around the message of recovery to other addicts in need. The center understands that not all patients respond to the same treatment and so does not use a one-size-fits-all approach. The sober living program is long-term—the program lasts for six months—and offers no medication-assisted treatment since the responsibility for long-lasting recovery is placed on the resident and her community. The sober living home accommodates about 40-50 women. The home is an old convent at St. Colman’s situated next to a church and is a dorm-style residence. The center has 22 bedrooms and is capable of accommodating more than 22 women. The sleeping areas are furnished with cubicles for storage and twin beds. In addition, the home has multiple office spaces, large living and dining areas, and a chapel. Most of the residents eat cereal in the morning. Sandwiches are usually served for lunch and dinner includes meals served family-style. Clients take turns in preparing food for the household. The program offered at the facility is split into three phases. The first phase lasts for three months. Participants partake in communal living and 6 in-house group sessions per day. Clients may also be involved in local volunteering but are required to attend nightly 12-step meetings. For the second phase, which also occurs for three months, the clients are subject to less restrictive rules while attending 6 AA meetings per week and getting employment assistance. The third phase offers the most freedom and allows clients to become mentors to new residents. Edna House costs approximately $100 for a 30-day treatment program at the facility but this price is subject to change as it is greatly dependent on the kind of program a client is registered into. Clients are advised to contact the facility for more information about payments and admission. The house operates other businesses which include The Edna Boutique that sells thrift items and such and also accepts donations from the community. The boutique uses all proceeds and profits made at the thrift shop to support the house as well as create employment opportunities for residents of the treatment house. After completion of a primary program, clients join an alumni association which consists of other individuals who have completed a program as well and the house boasts of over 200 active members. Meetings are done on a monthly basis where events and fundraisers are planned to keep up management of the sisterhood and foster a sense of community. Women seeking treatment but are financially challenged will find that the house offers a lot of services that fit as it is very affordable. Women at the facility are expected to work and simultaneously complete all tasks both at jobs and in treatment creating a sense of responsibility. Jen holds a Bachelor’s of Science and Technology from Youngstown State University and a Master’s degree with a focus on Criminal Justice from the same university. With experience and knowledge, Jen is passionate about helping women and brings this to her position as Executive director of the transitional housing location in Cleveland (Open Door Re-Entry). Sara holds a Bachelor’s degree from Cleveland State University majoring in Social Work and is currently progressing towards gaining a social work license. She started as an intern volunteering at the house while getting a degree at Cleveland State University before gaining full-time employment.